The first Haswell-based Chromebook has arrived, a scant month after we saw a tantalizing array of prototypes at the Intel Developer Forum. Acer announced Thursday that the C720-2800, an initial model of its C720 Chromebook product line, would be available for pre-order at Amazon.com and BestBuy.com, for an affordable price tag of $250. Acer says additional models will become available in the near future. This C720-2800 features an Intel Celeron 2955U processor, with 4GB of memory and a 16GB SSD for storage. Its 11.6-inch HD display has a resolution of 1366 by 768 pixels and a "ComfyView" antiglare matte finish. An HDMI port provides output to an external display. Other components include 802.11a/b/g/n Wi-Fi, an HD webcam, microphone, dual speakers, an SD card slot, and one each of USB 2.0 and USB 3.0 ports. The full-size keyboard has island-style keys. The 2.76-pound C720-2800 is just 0.75 inches thick at its widest point. Acer claims that the new C720 is trimmer than the C710 model it replaces. At just 0.75 inches thick, it's 30 percent thinner, and it weighs 2.76 pounds, more than a quarter-pound lighter. 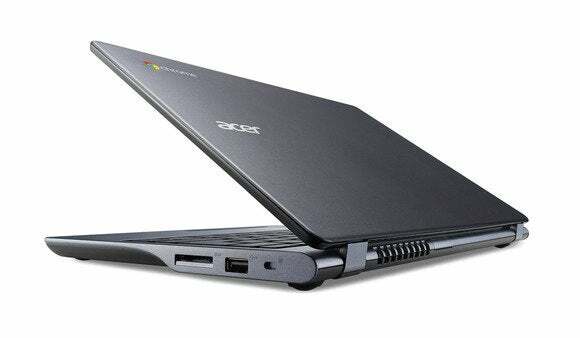 Acer claims a battery life of 8.5 hours for the Chromebook, thanks in no small part to the new Haswell architecture's greater efficiency. We've already seen it at work in Haswell laptops running Windows. The C720-2800 has a full-size keyboard. This is a busy week for Chromebooks. 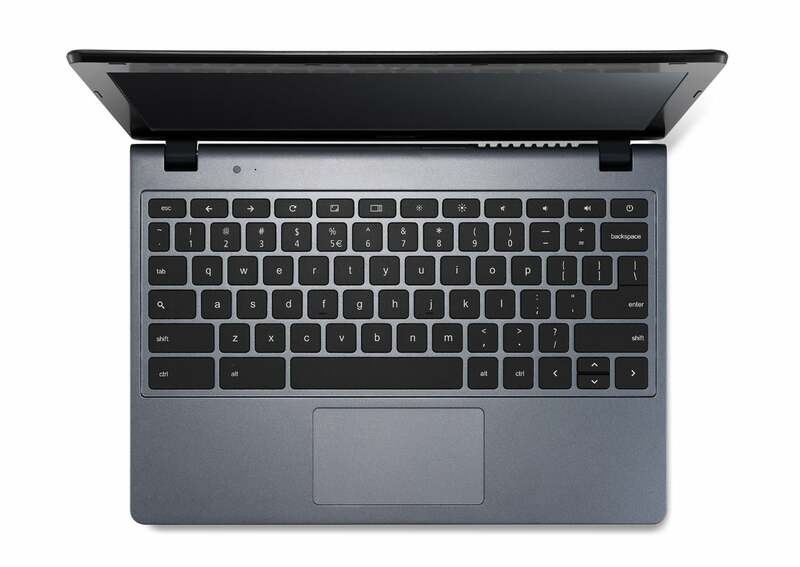 The C720-2800 debuts just two days after Google unveiled the 11-inch HP Chromebook 11. The HP model runs an ARM processor. The Acer C720-2800 is about $30 cheaper than the HP Chromebook 11, but not quite as light. A Haswell processor, even a low-end one, brings a touch of excitement to a segment of the Chromebook market better known for hitting price points than style points. But the Chrome ecosystem is getting better all the time, now that a new generation of Chrome apps offers more native-like capabilities. Stay tuned for our full review of this latest Chromebook offering.